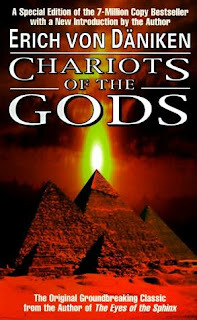 In his book Chariots of the Gods, Erich Von Daniken researches deep within our history for evidence to support that we have been visited by Extraterrestrials in the past and these Ancient Astronauts were perceived as Gods by our ancestors which is also the basis for many of the religions we follow on Earth. Erich Von Daniken doesn't rule out the possibility of the involvement of Extraterrestrials in some form of genetic engineering creating our own species, the Homo Sapiens. From the Pyramids of Egypt, to the Nazca lines in Peru, the monuments of Easter Island, the Stonehenge ... there are hundreds and thousands of these ancient monolithic structures left by ancient civilizations which have stood the ravages of time and till date pose the question to man, how did our ancestors get these gigantic rocks up there ! 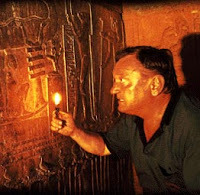 Rock carvings inside caves and ancient artifacts depict the presence of winged gods, feathered serpent gods such as Quetzalcoatl, amphibious gods who some believe to have come from the Dog Star, Sirius ... Clearly we have had Extraterrestrials visiting Earth in Ancient Times and we can be rest assured there are many advanced civilizations out there and some have been here on Earth since time immemorial !